If you are a college graduate or a school pass out and want to improve your prospects of finding a promising career, then you should consider doing an MBA. The employment sector has greatly changed and you must prepare yourself (academically) in order to get the best management position or even becoming a better boss. If you are a college graduate or a school pass out and want to improve your prospects of finding a promising career, then you should consider doing an MBA. The employment sector has greatly changed and you must prepare yourself (academically) in order to get the best management position or even becoming a better boss. This article offers an overview of everything that you need to know about MBA programs, their benefits, and the top programs. What is the Cost of Doing the Program? MBA stands for Master in Business Administration. It’s an internationally recognized degree that offers graduates the necessary skills that are required in business and management. It’s a vital degree especially for those who are seeking top C-level management positions. MBA degree originated in the US during the early 20th century when America was starting to get highly industrialized and companies needed scientific approaches in their management. Apart from MBA, CFA (Chartered Financial Analysist) is another popular program designed for candidates who are seeking careers in risk management and finance. 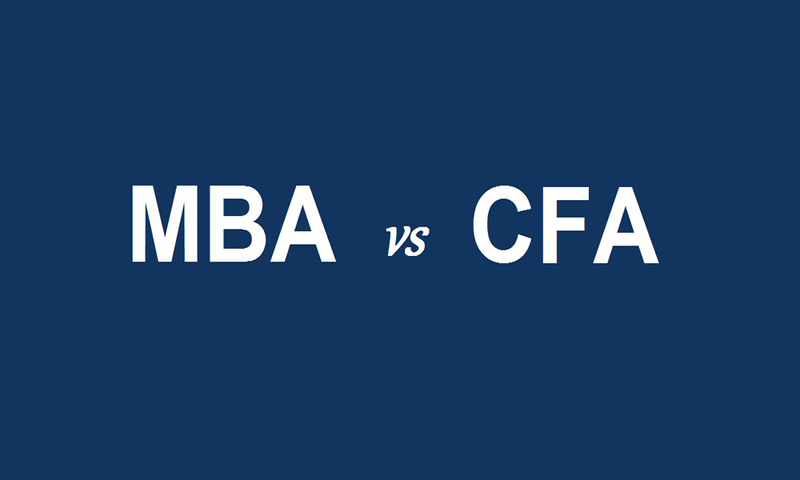 Students can do CFA post-MBA or even while they are doing the MBA. Note that passing all the three levels of CFA can take up to 3 years. A network of colleagues: During your learning session, you are going to come into contact with faculty members, fellow students, and alumni who in one way or the other can be added into your existing network of colleagues. Better job prospects: Note that if an MBA isn’t the minimum job requirement, then it can help to differentiate you from other candidates. Improved creativity: The MBA coursework is designed to entirely shape your creative skills. Although it’s based on numbers and facts, the coursework encourages you to think outside the box. Better management of your finances: Getting an MBA isn’t just beneficial for your job prospects, it also great for managing your personal finances, investments, and business pursuits. The Stanford Graduate School of Business (GBS): Not only is it the top school in the US but also globally. It achieved the perfect score for alumni outcomes as well as entrepreneurship. GSB charges a tuition fee of around $141,180. Harvard Business School: It attained the perfect score for employability ranking indicator. It’s the biggest MBA program in terms of class size and the tuition fee is around $146 880. MIT Sloan School of Management: This is the only program that attained the perfect score for the thought leadership ranking indicator. Sloan has a tuition fee of $148, 400. University of Chicago Booth School of Business: Closing in at 5th position, Booth obtained a high score in thought leadership and employability. The tuition fee for this MBA program is $144,000. The typical time-frame of completing an MBA degree is two full years. Generally, MBA students are required to do three courses or nine credits per semester. Most full-time programs in the US have two semesters for every academic year. The cost of doing this program depends on where you are doing it. The cost of online MBA programs varies from institution to institution. There are other factors such as accommodation, books, food, and health insurance which may increase the total costs. In the US, the average tuition fee of doing an MBA degree is more than $60,000 and if you are doing it from among the top 10 business schools in America, then the tuition fee can go to as high as $150,000. However, there are other schools which change a much lower fee. You can still do a still get an MBA degree for less than $20,000. The salary scale for MBA depends on variations per concentration. Based on the field entered, there are some MBA graduates who earn as twice as much as others. Those with Human Resource majors are the lowest in the salary scale with an average salary of $48,000 annually. On top of the salary scale are those who have MBAs with specialization in Strategy with an average starting salary of $96,000. However, these are just two extremes and in-between lies a concentration of other salaries that offer graduates a promising return. An MBA degree has numerous advantages especially if you have obtained it from one of the top-rated business schools. It sufficiently prepares you before you enter the highly competitive job market. Generally, you will be in a better position than your competitors, land a great management position, and your chances of getting a higher salary are high.